Many of our days are inherently better than others. On those precious days we are the pigeon. We are free to fly, the wind lifts us and lets us soar and we feel like nothing can bring us down. We are above all of the little problems that life presents. We gain strength and power as we fly. We are able to stop when we want to and simply observe life at its best from a lofty perch, but we are also able to spread our wings and rise even higher on the warm currents of life. Some days, however, that magical wind seems non-existent and our wings seem to fail. On those days, we are the statue. We are a solid mass under the weight of our own problems. We feel like we are stuck and there is no room to move. We feel stagnant and are rooted in our place, only able to watch life pass us by and not feel like we can participate. We are heavy with worry and cemented by fear, feeling like the world is doing nothing but looking at us and simply passing us by. On the days we are the pigeon we have to remember to empathize with the statue. 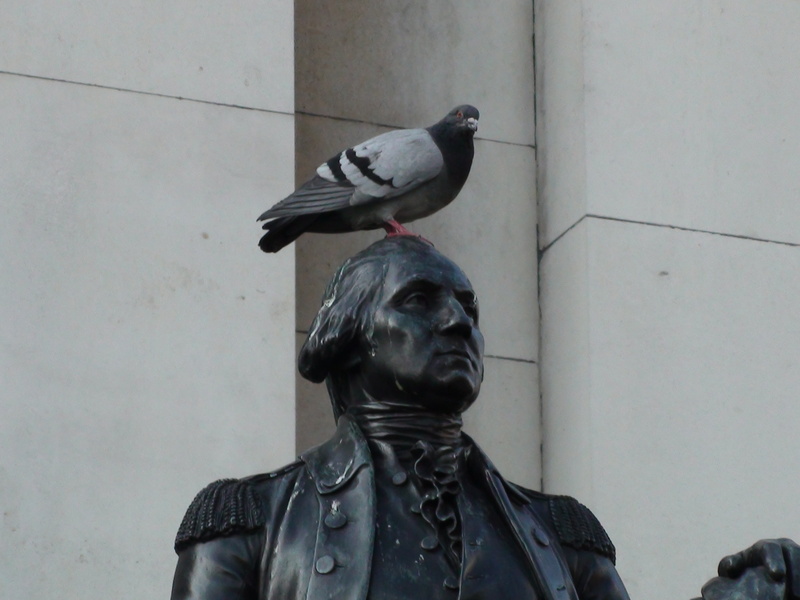 And on the days we are the statue we have to revel in the thought of what it is like to be the pigeon. To truly embrace all of life, we have to be willing to see it from the perspective of the bird and the bust. We have to understand that life is not always going to let us soar but we are never going to be stuck in one place for long if we break free of the mold we created for ourselves. Life will ground us. It will root us in our place until it sees fit to allow us the capacity to fly once again. And in those moments that we feel fixed in a certain spot in our lives, we just need to wait for those feathers to grow large enough to carry us into our next chapter. “we just need to wait for those feathers to grow large enough to carry us into our next chapter.”—Wonderful. The whole post is wonderful. The speed with which we can go from one type of day to the other is a bit shocking, so being aware of what we’re feeling, as you describe here, is one way to move closer to being that pigeon. Do I have to be a pigeon? Can I be an eagle instead?